Reading has great benefits for children, but with the rise of educational games, apps and YouTube, fewer kids are reading in their spare time. 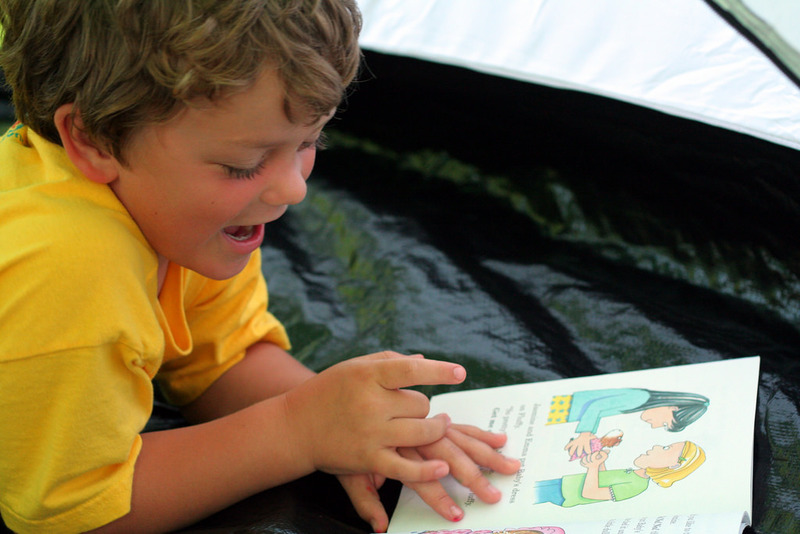 Education writer Marianne Stenger suggests how you can encourage children to read more. A recent survey from the National Literacy Trust found that secondary school students, and boys in particular, are less likely to feel that reading is cool. Many kids even said they’d be embarrassed if their friends saw them reading, which is a shame considering the benefits of frequent reading from a young age. Findings from the 1970 British Cohort Study in particular suggest that children who read for pleasure are able to outperform their peers, not just in literacy, but in mathematics too. The researchers, who interview study participants every few years to get a better understanding of how various aspects of their lives may influence their development, had a group of 6,000 people take various cognitive tests at the age of ten and then again at 16. They found that kids and teens who regularly read books for fun outperformed the non-readers in vocabulary, spelling and mathematics. In fact, the impact of reading on kids was nearly four times greater than that of having a parent with post-secondary education. Of course, the fact that kids who read frequently are better at spelling and vocabulary may not be particularly surprising, but how does reading impact a child’s maths skills? According to Dr Alice Sullivan, Director of the 1970 British Cohort Study, part of the reason reading encourages learning is that it introduces young people to new ideas. “Along with teaching them new vocabulary, it helps them understand and absorb new information and concepts at school,” she writes. She also believes that independent reading may simply promote a more self-sufficient approach to learning in general. So how can we as parents and teachers encourage kids that reading is still an enjoyable and worthy pastime in this digital age? A 2015 survey of children in Australia found that although 60 per cent of kids between the ages of 6 and 17 say they enjoy reading books, just over a third of them are frequent readers. Additionally 75 per cent of parents say they wish their kids would do more things that didn’t involve screen time, and nearly 80 per cent wish their child would read more books for fun. With this in mind, here are a few ideas for inspiring kids to read in their spare time. Research clearly shows that as kids get older, they’re less likely to read for fun, so it’s important to foster a love of reading early on. Change often starts at home, so if kids see their parents reading and enjoying books, they’ll be more motivated to seek out books in their spare time too. You can make reading a priority in your home by investing in a variety of reading materials; visiting libraries and book stores together; setting aside specific times of day or nights of the week for reading; and just leading by example. Another way to show kids that reading can be fun is to encourage them to think more deeply about the stories and topics they read about. At school, kids can be given a chance to review their favourite books or discuss what they’ve read with their classmates. Even at home, though, parents can encourage kids to think about what they’ve read by asking questions such as: What did you learn from this story? What did you like or dislike about it? What were your least and most favourite parts? Research by Dr Alyson Simpson, a senior lecturer at the University of Sydney, shows that allowing kids to choose books according to their interests and passions is a more effective way of encouraging reading than dictating particular books based on age or gender. She points out that parents and teachers sometimes mistakenly assume that kids can only learn from or enjoy simple concepts and language, so they choose books that match the child’s reading age rather than giving them a chance to discover books they find interesting or exciting. So if you’re looking for ways to inspire kids to read, start by introducing them to as many different story genres as possible, from suspense to biography to fantasy to humour. Once you know what genres they like, you can guide them to the types of books they’d be most interested in. This article was reproduced with permission from ABC Splash. To learn more about ABC Splash, visit our partners’ page.